Is it possible to hitchhike everywhere? The answer is a definite YES. 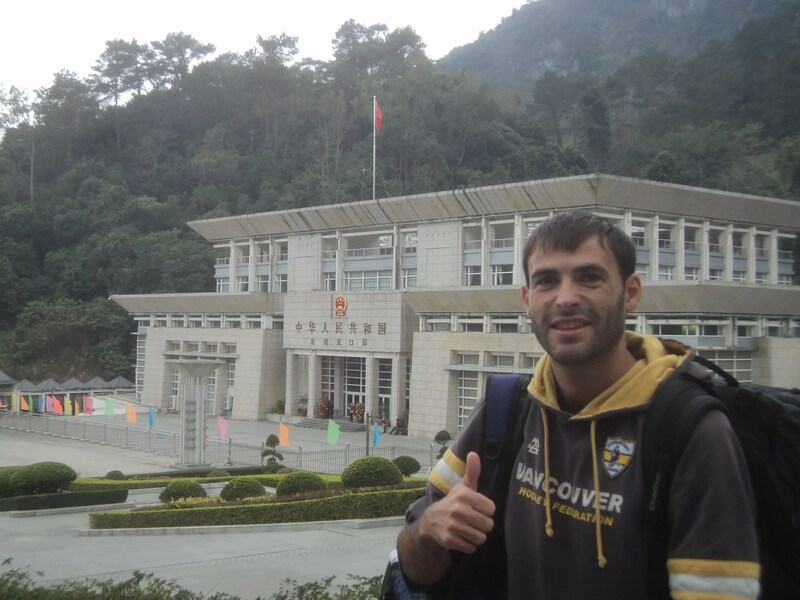 You can go hitchhiking around the world. Let me tell you how to do it, step by step, so you’ll know exactly what to do. 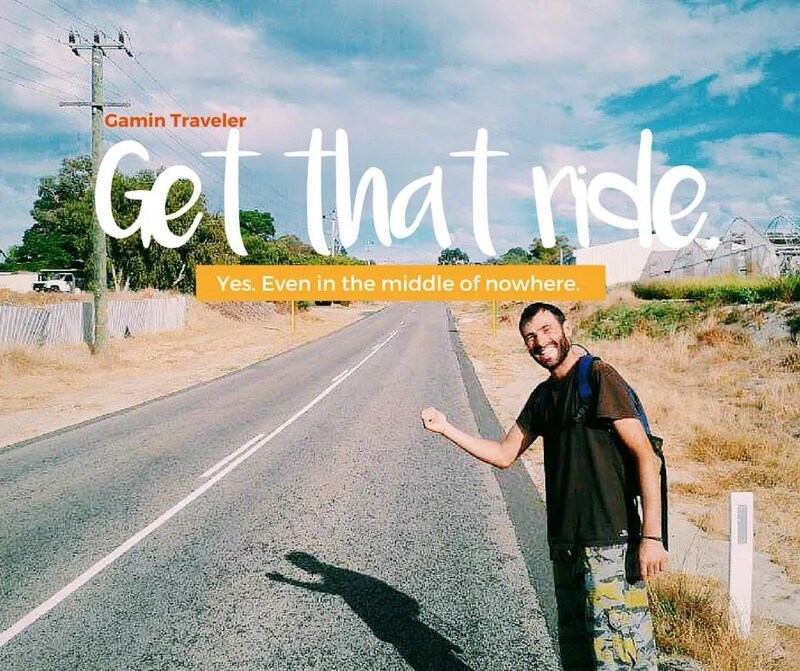 You can go hitchhiking around the world. If you want to travel without money, then avoiding transportation fares will be highly beneficial for you. This is why we do hitchhiking. This will be your way to move around a place. Have you ever tried hitchhiking? Maybe you haven’t taken the first step to hitchhiking for a number of reasons. Do you think it’s unsafe? Are you wondering, that maybe nobody will drive you? Or are you bored with the usual way of traveling, and ready to start a new trick to make your travel fun and exciting? Hitchhiking is the most flexible way of traveling. You can change your destination if you see an interesting place or you meet someone who offers you a nice plan. Some countries are easy to get a ride for, and you don’t even have to wait for so long. To begin with your hitchhiking, you will need to walk a few minutes to leave the city center. Look for a quiet place where cars can stop by easily. There is the presumption that hitchhiking takes so much time. And while this is not entirely false, it doesn’t happen all the time. 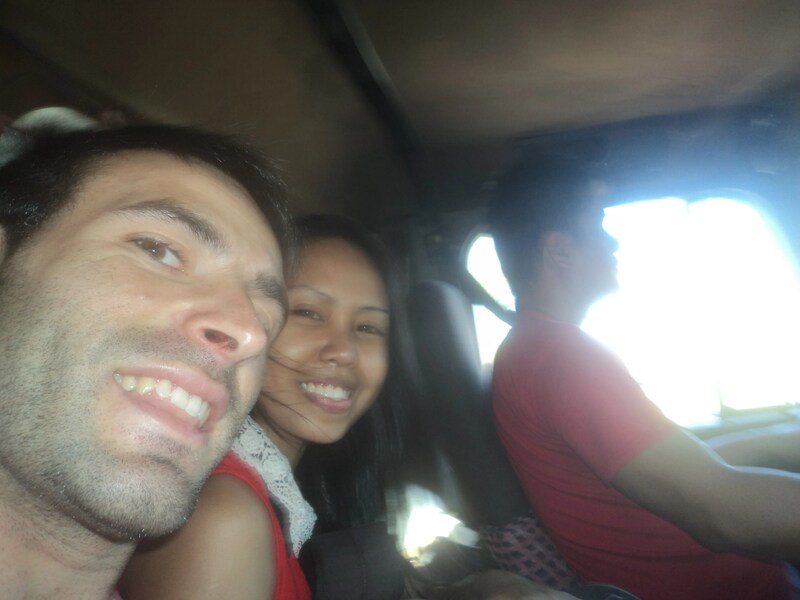 In fact, a lot of the hitchhiking experience I had has helped me travel faster than public transportation. Let’s take a quick example. If you go by bus, first you have to walk to the station. Then, you will have to buy the ticket and spend time waiting for the bus departure. Sometimes, there will be stopovers in different towns. And these stopovers can take take 15 minutes of waiting time each, what with all the people leaving, and the new people coming in. 1. Join a friend who has more experience. He/She can guide you on the first day. Follow your friend and his/her techniques and tips, and learn how to do hitchhiking by doing it yourself. 2. Go do it yourself, right off the bat. All things new are hard in the beginning, right? Just take the plunge. There is not a negative side to doing this yourself. Hang on tight as I give you the dirty tricks of hitchhiking on the road. Giving some space for the cars stopping. 1. The route – Which route do you want to take? The shortest is not exactly the best route. Check maps and get familiarized with the routes you can take to your destination. Is there a route more crowded than another? Is there one with less traffic? Do you have enough travel time before you reach a point where you can sleep? Are there any beautiful spots that you can pass by that you might want to stop for and visit? Consider all the route options that you have and pick one you’ll follow. 2. Luggage – It’s important to travel light when hitchhiking. Go with only the most essential things. One backpack should be enough. You can carry a small, extra backpack where you might want to place your personal belongings. Make sure that you are also bringing with you a sleeping bag and a tent. Remember to bring water, some food to eat on the way like bread, can goods, or cookies, that can last you probably a couple of days, especially if you have a long route to take. 3. The sign – Try to get a big piece of paper or cardboard to make a big sign with the name of your final destination. Here’s one tip if you are traveling far: Have different signs of the different stops/cities before reaching your final destination. When you are inside the vehicle, you can tell the people helping you about your exact destination. A colorful sign, maybe one with the flag of your country can be a good way to catch people’s attention, too. 4. Try to be neat, even if you have been sleeping outdoors – You can find places to clean yourself, like gas stations, or rivers, if you are in the country side. A good personal hygiene attracts people better, since it will lessen any prejudgment they might have (unlike if you look like a gang member). Try to wear clean clothes (The best that you have. We all know what happens with travel clothes). If you have colorful t-shirts, this can work well when hitchhiking. Bringing your favorite soccer team’s shirt? Put it on! That could be fun, and even a way for a small talk. A small flag in your backpack can also help, if you’re bringing one. Avoid wearing caps, hats and sunglasses while hitchhiking. These things can easily put a barrier between you and the people you are trying to attract. Appear to be open and approachable so they will trust you easily. 5. Keep your important belongings like money, passport, cellphone and credit card in your pocket – If you can’t fit these in your pocket, then try to carry a small backpack which you can always carry with you (separate with your bigger backpack) to be ready in cases of emergency. 6. If you can, try to learn some basics about the local language of the country you’re visiting. – Basic phrases or sentences will go a long way. If you can communicate using the local language (especially for countries that might be widely using English), this will be very helpful for you. Have a local friend? Maybe you met someone on the way, or stayed with them conversing a bit, or maybe met someone via couchsurfing? Ask for help from them to write some basic phrases and sentences for you on a piece of paper. 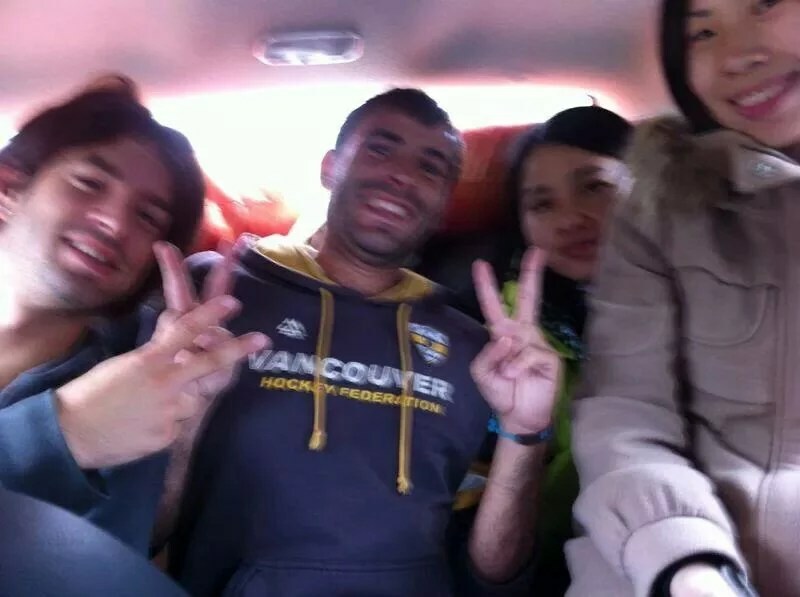 There are some places where people don’t understand hitchhiking, like some areas in Asia. They are so friendly that they will stop for you and ask you what you’re doing when they see you hitchhiking on the road. If you have short explanations ready on paper, you can easily communicate that you are trying to reach another destination without the need for money. Have a polite note, with a little thank you, and this will surely get appreciated and guarantee you a help. 7. Choose a good spot to start asking for a ride. – This will be your biggest and most challenging task for the day. If you are inside a big city, you will have to get a bus or a train to leave the city and go outside where the streets are less busy and cars can pull over to stop for you. Busy roads inside cities are very hard to get a ride for. To help you decide on where to hitchhike, there are several options. You can ask local people. Describe to them the spot you are looking for. If you are sleeping by couchsurfing or in a hostel, someone will tell you which route you need to follow. Don’t ever feel shy to ask. You can even be lucky and the person you are asking might just be headed to where you want to go. They might also have a friend headed to the direction you are targeting to start your hitchhiking, and they might be able to drop you off there. If you can’t get a ride, get information about buses and trains. Check the schedules properly to see which one will work best for you in terms of time and money. Your last option is to go walking by yourself. This will depend on how big the city is. Once, I had to walk for two hours to leave the city in Phnom Penh (the capital of Cambodia). I had to walk past all the motorcycles trying to charge me money. You can try to catch a ride even while walking to your desired hitchhiking point. I also had to this in Taipei. It took me sometime, but I successfully found a ride. lf finding a ride inside the city is not working for you, keep walking until your hitchhiking point. There is a website called Hitchwiki that provides information about leaving to go outside cities for hitchhiking. It will depend on your next destination. They will tell you which bus or train to get, for you to make better decisions in planning your hitchhiking day. 8. When local people play devil’s advocate – Now, this is not a rare instance. There are really times when local people will tell you that hitchhiking is not possible in their area, or might even call it illegal. (Don’t fret. It’s not.) Just take it easy and don’t pay attention to what people are saying. Follow your instincts, take the plunge and enjoy the experience. These people will even have a fun time watching you succeed. 1. A Roundabout – A few meters after crossing the roundabout. The vehicles go slow in this area, so you can wait for them. 2. Crossing of roads – A few meters after the crossing. The perfect spot for you to wait and get a ride. 3. Traffic light – Try to show them your sign. Be on the ball, you have to be fast. Before the green light is on. Someone can call you, that’s why it’s important to go light with your luggage. 4. Toll roads – This is an amazing place to catch rides for long distances. You should be polite and ask from the people working there. If they don’t mind you asking for a ride around that area, you can start hitchhiking a few meters after the fence. Cars go slow and they will see you. 6. Before the entrance for the highway – It is usually not allowed to ask for ride inside the highway. 7. Petrol stations and resting areas – You can ask people or just wait for them when they are leaving for the road. 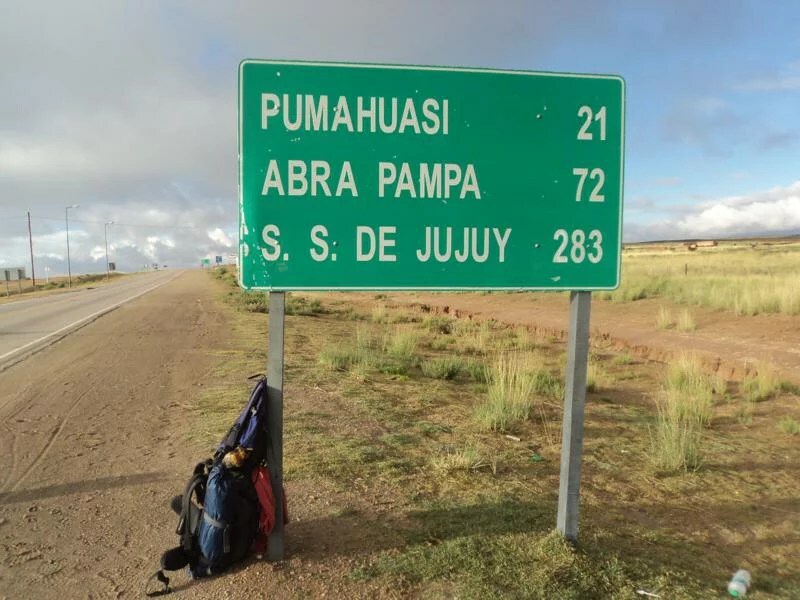 If you are two people hitchhiking, one can ask people to get a ride while the other one can wait with the luggage outside, holding a hitchhiking sign . Makes the work faster. 8. In the borderlines – It is easy to get a ride here. Once you get the stamp on your passport inside the new country, you can start asking for a ride since cars go slow around this area. There are many trucks passing here, so it should be one of the easiest ways to get a ride. This is because once you crossed the border, you have been totally checked. No one can suspect you of having bad intentions for hitchhiking, such as bringing illegal drugs or other stuff in your backpack. This is also why it is hard to get a ride before the borderline. People may have a lot of inhibitions for trusting you. This is why I suggest you go get your stamp before hitchhiking cars. If you are crossing the border line with a vehicle, and you have to get off the ride to get your passport stamp, make sure that you won’t lose site of your backpack, or better yet, carry it with you. Remember, that your safety is your own responsibility. 9. Pot-holes in the road or excavations – In these areas, traffic is slow. It’s also a good hitchhiking spot. After the border, its perfect to ask for a ride. Sometimes to reach these points, you need to walk a few kilometers. When you are looking for a free ride, the most important thing is to not feel shy about it. Why would you be? Anyway, you will only take rides from people who are willing to share a space for you in their car. You are definitely not hurting anyone. In my experience, people are actually very happy extending this kind of help. Feel confident and enjoy what you are doing. Try to smile and look them directly in the eyes, when talking to them. Try to communicate to them with your body language. Show them a thumbs up, a praying sign (as if begging to get a ride – I did this a couple of times, while smiling of course. Makes people smile too and approach you), do jumps, do a stupid dance. If you do these, cars will slow down and it will be easier for them to stop. If you get them to smile, they might just give you that coveted free ride. You need to deserve the ride, and it’s not obtained by sheer luck. In Europe, South America and in Western countries, everybody can understand that you are hitchhiking if you do a thumbs up while on the road. If you have a sign, they will know exactly what you are doing, and where you are headed. In Asia, you should try moving your arms up and down, like signaling cars to stop. When they do stop for you, you can then tell them what you are doing. If you can’t communicate using their language, show them your hitchhiking sign, with your destination. You can also show them a map and tell them where you are going. 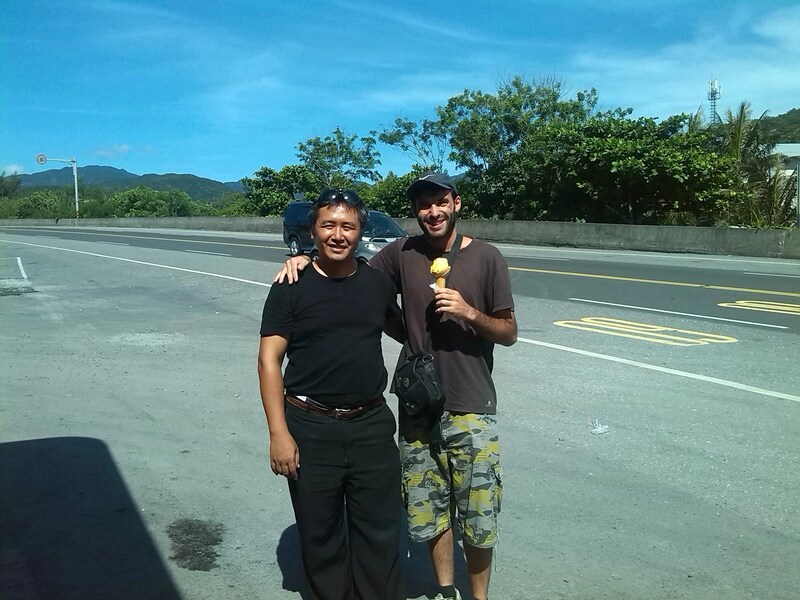 I had great experiences hitchhiking in countries where a lot of the locals driving by can’t understand English. We can use body language, smiles, sign language, and your intuition – a combination of these will help you get to your way. When you are asking for a ride, try to tell them where you’re from and where you’re headed to. Try to make small talk when you can, have a calm demeanor, and smile a lot. It’s easy for people to trust you when you do these. Let’s say you are in Germany and you want to hitchhike to Amsterdam. You can tell them something along these lines: “Hi. I’m Ruben. I just came from Germany, and I am headed to Amsterdam. Do you think you can drive me close to (add your destination here) or at any point in the middle? Thanks!” If they give you a free ride, they will usually ask from what country you’re from and what places you’ve traveled to and your current destination. So that’s a conversation you will have many things to talk about. Some people love long conversations during the ride. Some just drive quietly and are okay with minimal conversation. It’s really interesting how you can meet different kinds of people just by hitchhiking. Once you get a ride, try to think about why they were happy to drive you. Sometimes they drive you because they like traveling and they want to help you. Some will want to help you even if they aren’t travelers. Believe me, people are helpful. Sometimes they are bored, and they want a conversation (these are common in Western countries). There are also times that they want to meet you because they are wondering what you’re up to (common in Asia). Try to always be friendly and polite. Introduce yourself, get their names, shake their hands (or whatever is appropriate and normal for a particular country). Check where they are going. Any small talk about family or hobbies? It’s like a sales job at one point. But it is the very fun type of sales job. The conversation is the little return you can give them for giving you a free ride. If you gave them a good impression, this will open doors for next hitchhikers. If they are the ones starting the conversation and asking you questions, just stay friendly and share them your stories. Tell them about your travel. Where are you from? Why are you doing this? Are people usually driving you? Those questions are the ones people typically ask of you. 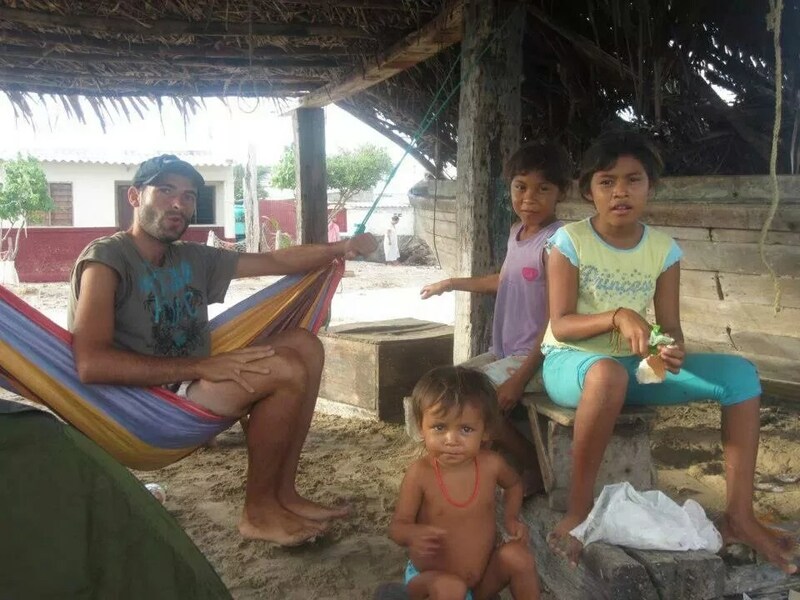 Stay friendly and this can go a long way – maybe an extended friendship, an invitation to visit their house and eat and stay with them, or to go around visiting some spots in the city with their help. If they start to ask you questions, the conversation almost always go to where you are going and why are you hitchhiking. “How are you finding our country so far?” “Where have you been to?””How are you liking the people here? The food?” “Do you get hitchhiking rides easy?” Stay charming and friendly. Again, it’s your little give back. Plus you learn about people the way they learn about travelers like you. It did happen to me at times, especially in South America, and a couple of times in Asia, that people asked for money for the ride. Make sure they understand what hitchhiking means. If you are in Asia you can just say you don’t have money for that particular ride and they will understand you. This happens only in rare occasions. The most common problem you can encounter in Asia is that they will try to drive you to the nearest bus or train station, thinking that’s what you need. This is why you always need to be on the ball, and know your routes. Let them know immediately if they aren’t going to the direction you wanted to take. I stay all the time with my map, checking, to make sure I know where they are going and to make sure they can drop me off at a good spot. Lead them. You should know your route or where you want to be next. Make sure you tell them how much you appreciate the help they extended you once they drop you off. 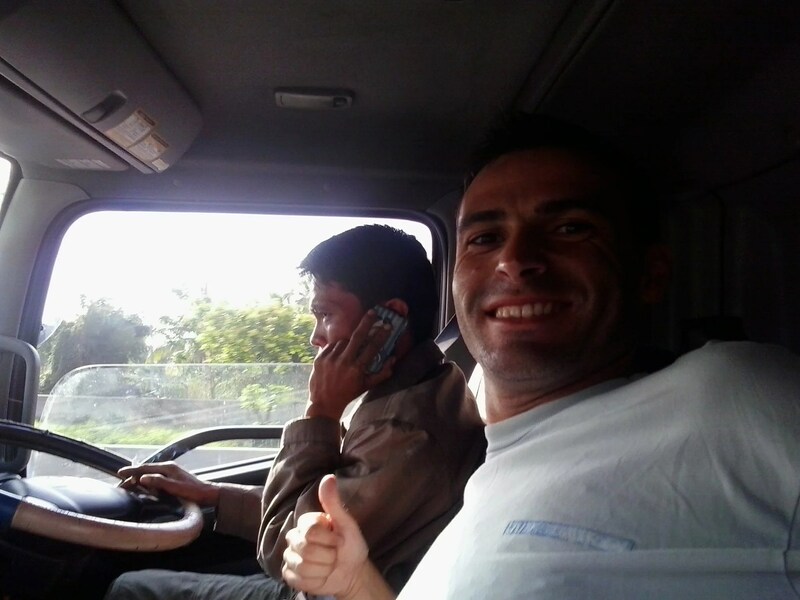 If you are hitchhiking for very far distances, try to ride with trucks. These are the ones that usually go far. I’ve been with trucks who let me ride for a couple of days with them. When it’s a very long ride, they usually let you sleep in the truck or treat you for food. A lot of truck drivers drive alone, so if you get their trust to take you for a long ride, your travel stories will be a good entertainment for them. This will make you connect with them in a great way, and they will try to help you by giving you more information on what routes you needed to take, and other great information.When you need to cross an island by ferry, and you are in a truck that will go with the ferry, you might be able to get the ferry ride for free. I was able to do this in Indonesia, going from Bali to Java. There are also websites such as findacrew.com where you can get a free boat. In exchange, you can help them with their tasks inside the boat. The only concern you can have about hitchhiking a truck that got on a ferry, is that these trucks usually travel outside the city (meaning they don’t go inside the city center). If that happens, you need to take a bus. Also, I usually recommend to start hitchhiking for a ride during daylight. Nowadays, a lot of the roads are well lighted even at night that you might still be able to ask for a ride around this time. When hitchhiking during the day, try to ask for a ride under the shade. There can be a possibility of a heatstroke if you stay under too much sun and heat exposure, especially if you need to stay hitchhiking or walking for hours on end. There are times you will need to walk 3-4 kilometers in between getting free rides or to reach a good hitchhiking point. If for any reason you feel that you can’t trust the driver, or the people inside the car who wants to drive you, just be polite and say thank you and then refuse the ride. Trust your instinct on this. You can give them a short excuse like you were thinking of someone else, or you forgot to check something. I had to do this a few times. One instance, I was hitchhiking for a ride in the morning, and a car with 3-4 guys stopped at me, who all looked drunk, playing loud music in their car. I was in Malaysia, and the ambiance I felt with these people are different from the usual locals. They looked a little strange to me, so I ended up refusing the ride. I might be wrong about them, that’s for sure. But in these hitchhiking trips, I always trust my gut for my safety. There will be times you won’t reach your destination at the end of the day. Maybe it wasn’t your best hitchhiking day, or maybe the distances are just too far. You will need to sleep on the way. It is helpful if you are carrying a tent with you. You will be able to sleep in different places easily. Try to choose a spot where you can rest quietly but not too far from the road for your next day’s trip. For your security, you can try to be a little hidden, so people won’t easily find you. If you are close to some houses, you might try to ask first if you can sleep with them. Or if they have a little space in their garden where you can spend the night. Some people will allow you to pitch your tent in their garden. Some will let you in the house, and you can get invited for a coffee or dinner. Have a good conversation. If you are near a gas station, you can easily ask people who work there if they have a small space where you can stay for the night, or a safe place for you to stay at night. If you are already hitchhiking with someone, you can be friendly and talkative with your driver and you might just get an offer for a free space to stay for the night with them. It sometimes happen, and be very grateful for their help if that’s the case. It’s amazing how good people are. 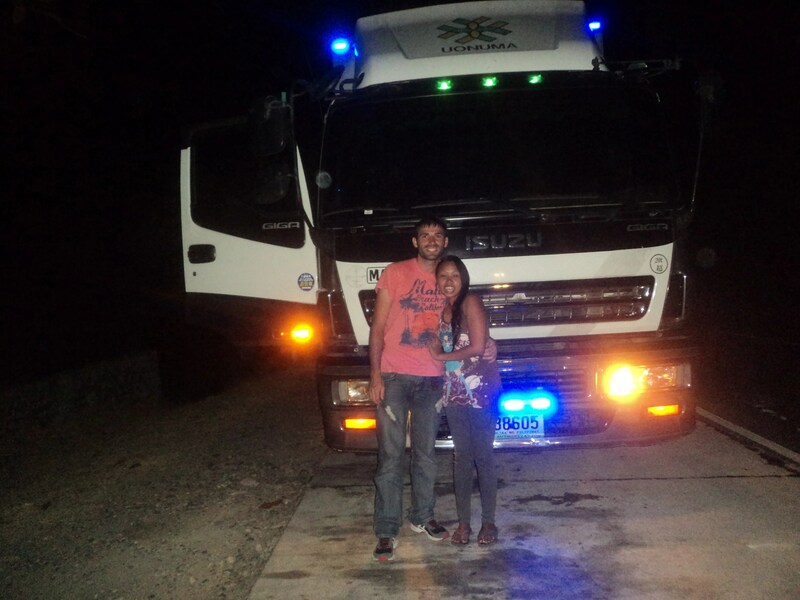 Sometimes they drive you 20-40 kilometers outside their route, to make sure you reach a good spot for your destination. Many times they treat you in a restaurant or just to have a drink with them, because they are enjoying your stories. Truck drivers not only offer food, some even give you something simple to take away. Some people also offer you money. I usually refuse to take money from people, but there were times that they will do their best to make you accept it. Even one time, they stopped a local bus for me, talked to the driver in their local language and gave money to the driver, and told me that the bus will get me to my next destination. Accept these gestures of help. People have a good heart. In return, do good when you have the chance to extend it to others. You can also try to instead give that money to someone who has more needs. Maybe give it to people in the streets who have no money for their daily food. You will encounter different types of vehicles when hitchhiking. Cars, trucks and vans are the most common vehicles when hitchhiking in Europe or other Western countries. The vehicles are much more varied in South America and in Asia. There are tuk-tuks, motorbikes, pick-up trucks (typical rides you might get in Thailand), school buses, regular buses, ambulance, even police cars. 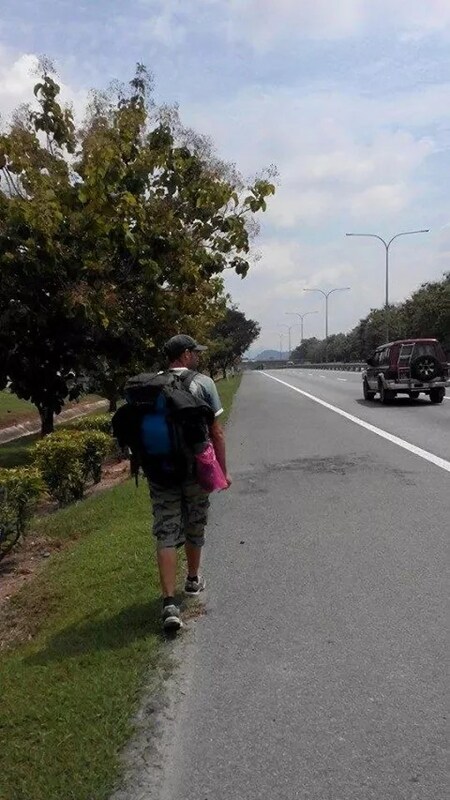 Hitchhiking alone as a guy is good. If you can team up with a girl, even better. Two guys can be difficult, and might take longer times for you to get a ride. A girl hitchhiking alone, or even two girls together, work well. 3 people hitchhiking for one ride can be quite tricky. More people are usually more difficult, and will take you more waiting time so you can try how this will work for you for a few days. Traveling with more people can be, of course, much more entertaining than when traveling alone. Hitchhiking with a girl is always easier. 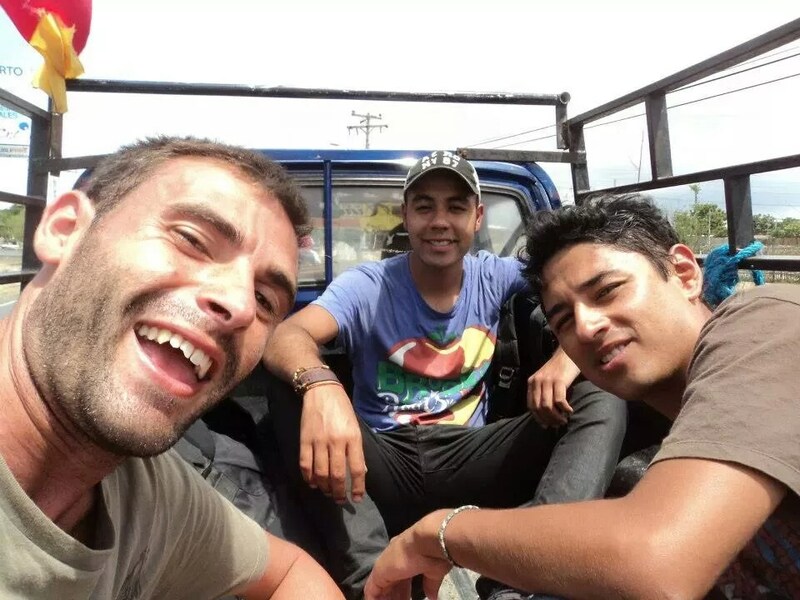 Hitchhiking, 3 guys is more difficult. 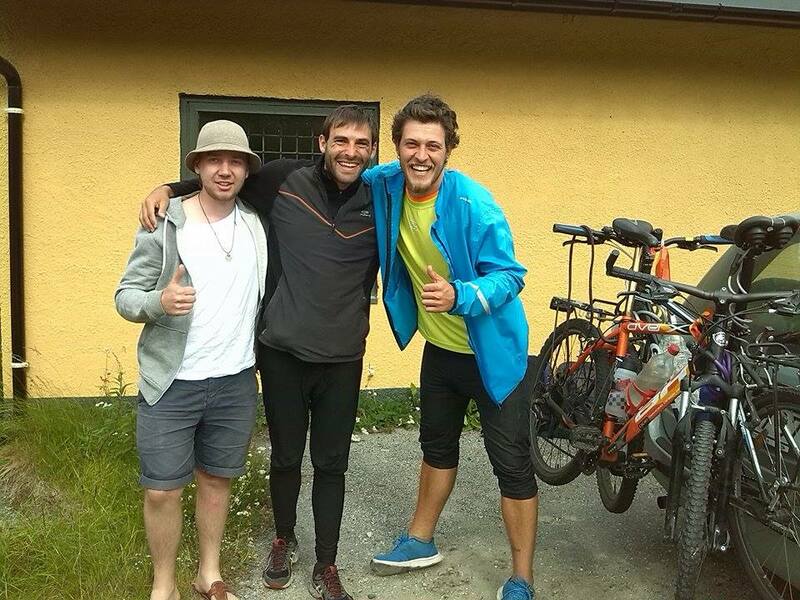 Nothing is impossible : hitchhiking two guys with the bicycle. 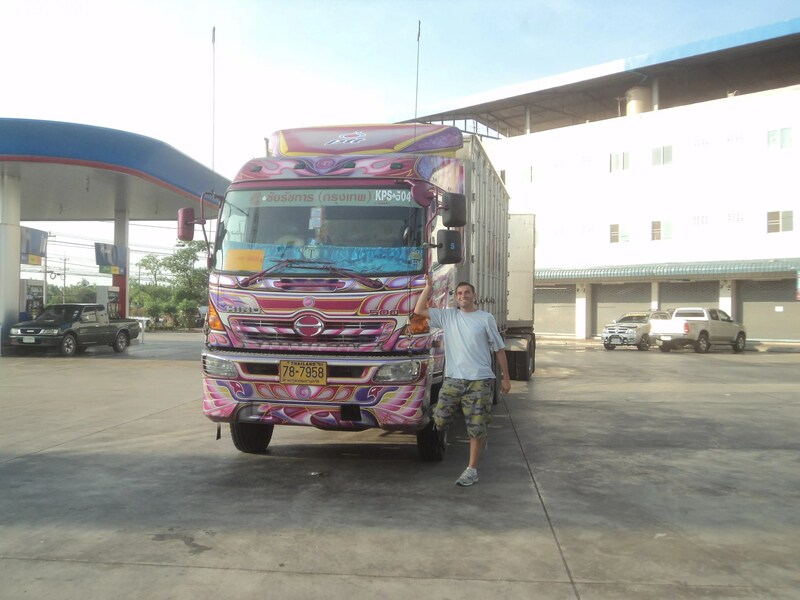 If I have to compare waiting times when hitchhiking, the best was in Asia. If you are hitchhiking in a good spot where you can easily be seen, it will usually take less than 15 minutes to get a ride. 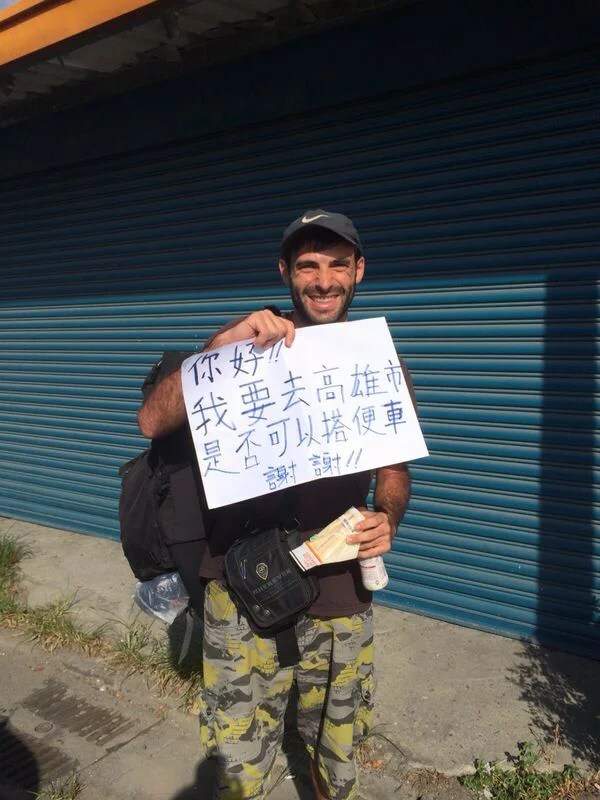 In Asia, Taiwan, Thailand (except in the North) and Indonesia are the best places for hitchhiking. I didn’t wait more than 15 minutes in these countries to get a ride. In South America, my favorite was Chile. Maybe you need to wait for around 30 minutes to get a ride, but sometimes that happens when you are hitchhiking in areas where there is very little traffic. In Austria, it took me only less than 30 minutes to get rides. Hitchhiking also works well in Australia. Usually around half an hour. Australian people are very friendly. 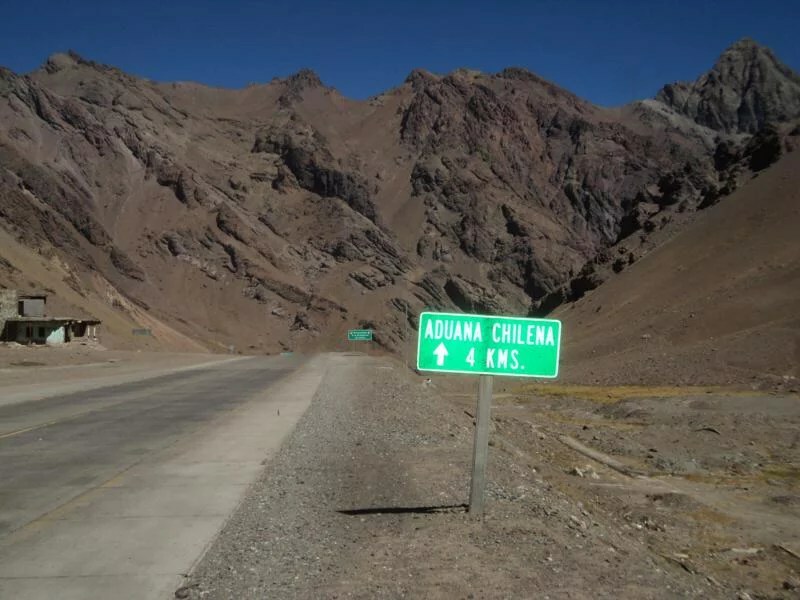 The worst countries for hitchhiking in my experience were in Colombia and in Uruguay in South America. In Europe, it was also very difficult to hitchhike in Italy. In Asia, the longest waiting times I experienced were in North Thailand, Laos and Cambodia. 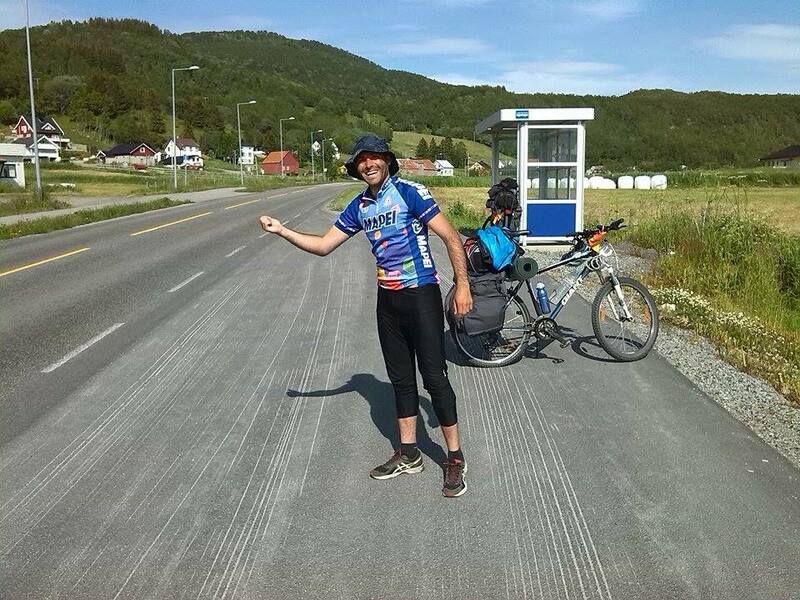 When I had to hitchhike with a friend while in a bicycle trip in Europe, it also took us long hours of hitchhiking in the North of Norway. But this was only due to us bringing bicycles with us. We had to get a ride because my bicycyle got broken and it needed to be brought in a shop which was not close to where we were. And because we were in an area with very little traffic. 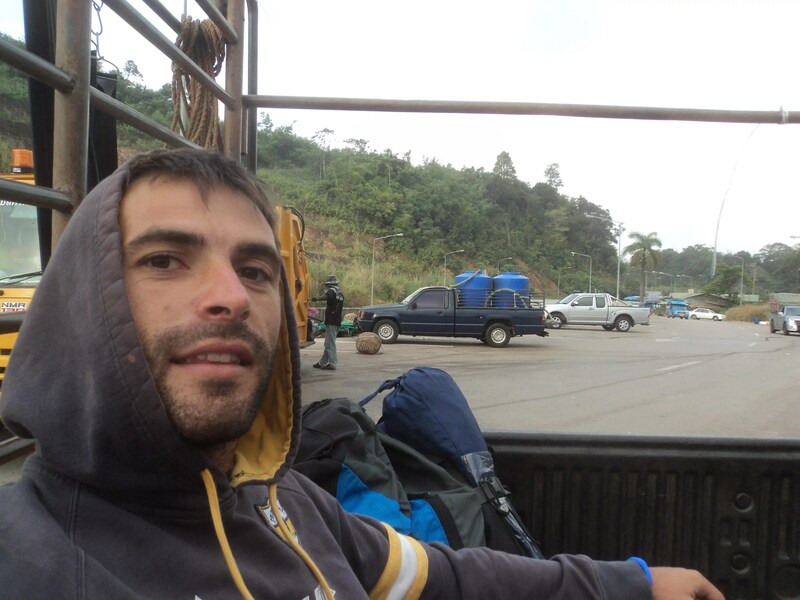 We hitchhiked with different cars for two days to reach the bike shop, one ride a day. 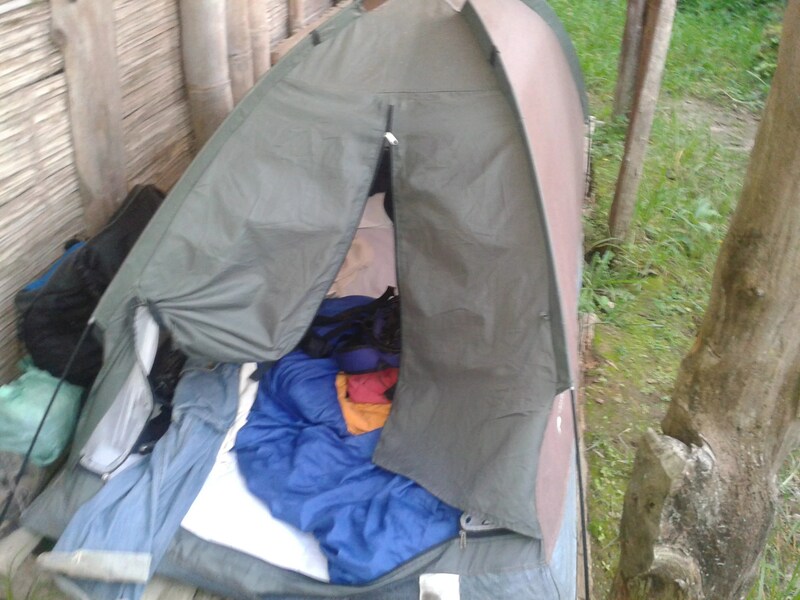 In times that you need to hitchhike for days, use free accommodation when possible. One of the best communities and my top favorite is couchsurfing. It will be helpful to plan your trip in advance, to know which places you will be stopping and where you need to find places to sleep. A plan will also be helpful when informing your hosts about your schedule. They will understand that if you are hitchhiking, you might not reached their place in the planned date. If you can contact your host, the better. There are times that I had to borrow a phone from someone to send one message or getting internet, to make sure my hosts will not be worried about my delayed coming. There are other helpful websites that has a community of people who want to give free spaces of their homes for travelers. Check trustroots, bewelcome and hospitality club. If you are going to meet a host in a big city, it will be helpful to have a map in hand to know how to reach your host’s home. You can also ask directions from locals or hostels. If you don’t have a host, plan to find a spot where you can pitch your tent. If that’s not an option, try bus stations, train stations, airports and parks for sleeping. A constant travel life is amazing. But like all good things, it comes with a responsibility. Make sure that you plan well so that you will know what to expect and be ready all the time. To get more information for hitchhiking routes and all things hitchhiking, Wikitravel and Hitchwiki are very good source websites. If you are a female solo traveler, and might have inhibitions regarding your safety and security when hitchhiking alone, I suggest reading Ana Bakran and her 36 tips for a solo female traveler. She will help you with all your doubts, and you will be ready for hitchhiking in no time. I usually use Hitchwiki when checking guides on how to leave a city. There are lots of information on how hitchhiking works in different countries, too. You might feel that it’s cheap and taking advantage of other people. In fact, I just got comments like this from my last travel guide, How to Travel without Money by Bicycle. This will always be my answer to that. You will never feel like you are taking advantage of anyone when you are sincere and grateful in asking for help. This is my truth. And I am not alone with this. I believe that if you have a dream, and you have too many excuses for doing it, you might not have given the world a chance to show you just how amazing people are. People are happy to extend help when they can. And if you are asking politely, and they are giving you help willingly, then give in to it. Good things and good people are natural parts of the world. In return, be good to others when you have the chance to be helpful. You might just experience just how it is possible to follow what you really want to do in life. So, will you try hitchhiking on your next travel? If you haven’t tried it yet, comment with any of your fears or inhibitions. I will answer all comments because this is my way of giving back. Great advice, to the point and totally tested. Thanks! Keep on the good work, so we can all travel the world withouth excuses. Thanks Miguel! You are right. I also hope for more people to get to travel when they want, and to know that it is possible, as long as they decide to start doing it now. Thank you for believing in this way of travel! Aline, as soon as possible,you aren’t gonna regret! You should always take one step forward to your dream. This is amazing, so much info…. im feeling inspired now! Thanks Mina! You can see how easy it is. Just take the plunge. So when are you gonna start your hitchhiking trip? Wow! This truly made my day. Thanks Jake. There’s this idea that hitchhiking is basic, but I know too many people who hasn’t tried and experienced it yet. So I try to be in those people’s shoes and write guides for them. Are you a hitchhiker too? When people know that it is doable everywhere, it gets more accepted. And hopefully, like you mentioned, it opens roads to a better hitchhiking culture. To better travel experiences! 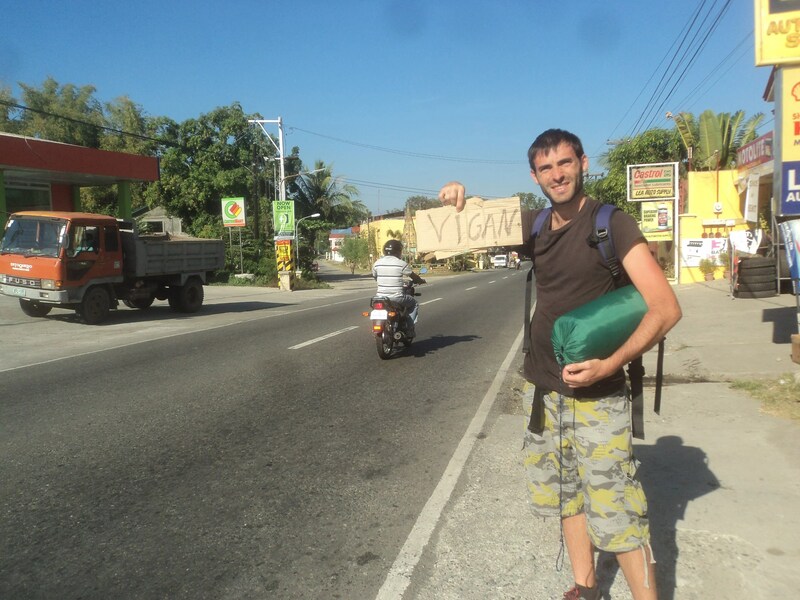 Hitchhiking is a great idea for a good budget travel! I like your post, Ruben!